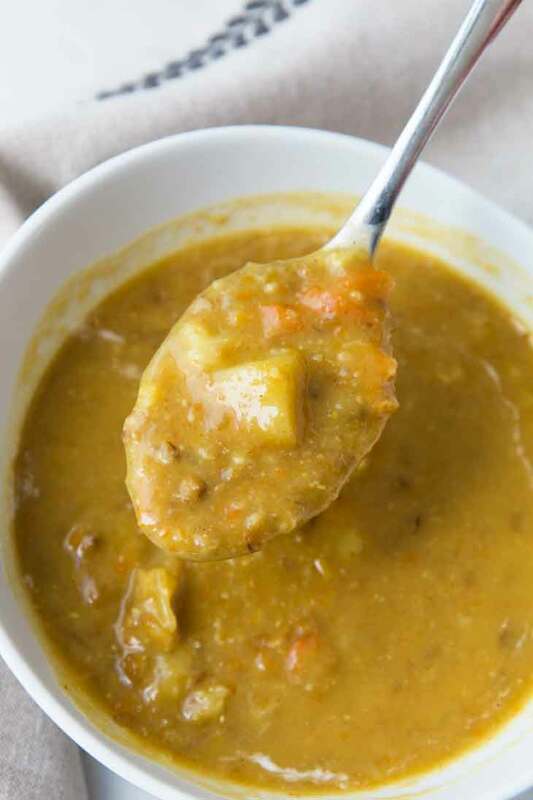 This easy curried vegan lentil soup with cauliflower is hearty, flavorful, and contains rich and aromatic spices! It’s the perfect family-friendly healthy meal to make for the holidays or any busy weeknight! That warm bowl of comfort made by cooking vegetables and spices in a broth, until all the flavors are extracted and you’re left with a rich delicious soup. The key to a perfect soup is having the right combination of ingredients and spices so that the flavor profile is unbelievable. I’ve created yet another awesome simple and easy vegan soup recipe! 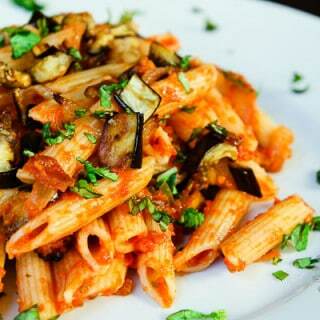 It’s hearty and flavorful, with rich and aromatic spices. My Vegan Curried Cauliflower Soup with Lentils, made in the Instant Pot (stove-top directions also included below). 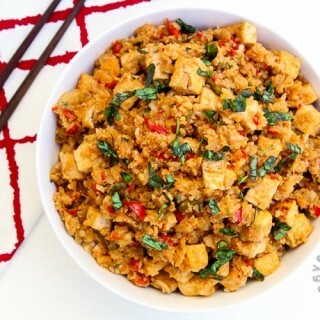 For those of you who see the words “cauliflower” or “curried” and shy away, you especially need to try this recipe! This is definitely not your typical Indian-style lentil soup. And even though I do use curry powder in the recipe, it’s doesn’t have that traditional taste because of all the other added ingredients. I’ve tested this recipe several times to nail down the flavor profile I wanted, and it’s easily become one of my families favorites! Let’s talk about SOUP for a moment. If it were up to my kids, they’d ask for some type of soup at least twice a week for dinner or school lunch. Of course, I like to mix it in with different types of cuisines and meals, but soups constantly make their way onto the dinner table in some form or another every week. I’m all about making sure my family has a balanced meal. So if a soup is being served as the main course, then you can guarantee it’s going to be healthy and hearty. Otherwise, I’d have a hungry family crawling around the kitchen an hour later. There are so many easy and fun ways to add veggies and protein into soups. It’s the perfect way to ensure your family gets plenty of vitamins, minerals, fiber, good fats, and protein in their diet all in one bowl. 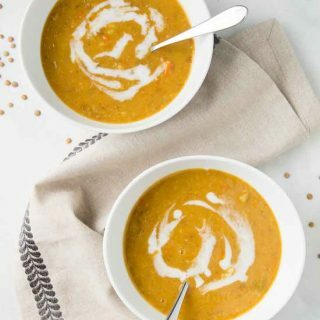 This vegan lentil soup and my popular tortilla soup recipe are perfect examples of complete meals! I’m all about “throw most of it in a pot and let the natural flavors come out!” It’s all about finding that right balance of ingredients that makes a soup irresistible! For the most part, my soup recipes consist of chopping a few veggies and one-pot. Saute a few ingredients at the beginning, then add in everything else, cook until tender, and then finishing up with some additional spices. Cooking methods include stove-top, oven roasting, or a pressure cooker/instant pot. Even prepping ingredients is pretty easy for most of my soups. If I’m planning on using my hand blender to puree or pulse, then large roughly chopped veggies are good enough. Otherwise, I love using this chopper for smaller sizes…it makes prepping ridiculously easy! Both my kids finish dinner on time without me having to remind them to take bites. In fact, my son prides himself in finishing soup-dinners quickly! My family loves small sides with soups. You’d think that this would make soup dinners difficult to make since I have to make more than one thing, but I’m talking super easy fun sides like grilled cheese, tortilla chips, garlic bread, or even some nachos. Since my soups are generally pretty filling and healthy, the sides are mainly to break up the meal and are fun to enjoy alongside the soup. Do you have picky eaters in your family that hate certain veggies? Or do you find it difficult to get in that protein? Soups are a great vehicle to help your kids eat their veggies, especially when served with a side of garlic bread or some fun toppings. If your kids don’t like to see big chunks of vegetables, then blending them into soup form is the way to go. Or if they don’t like the taste of a particular veggie, gradually introduce it along with other veggies they love in the form of a soup. And don’t forget to blend in some beans or lentils for added protein. Once they’re used to the flavors and love the soup, you can slowly start to bring back the actual veggie in other forms. Or reveal what veggies are in the soup they now love! The flavor of soups are even better the next day, so they make for great leftovers. So double up the recipe so you have leftovers for quick and easy school or work lunch the following day! …served as a main or enjoyed as an appetizer. When it comes to soups, the options are endless and you can always find a soup that hits the spot! No matter what time of the year, a bowl of delicious soup always feels warming and comforting. 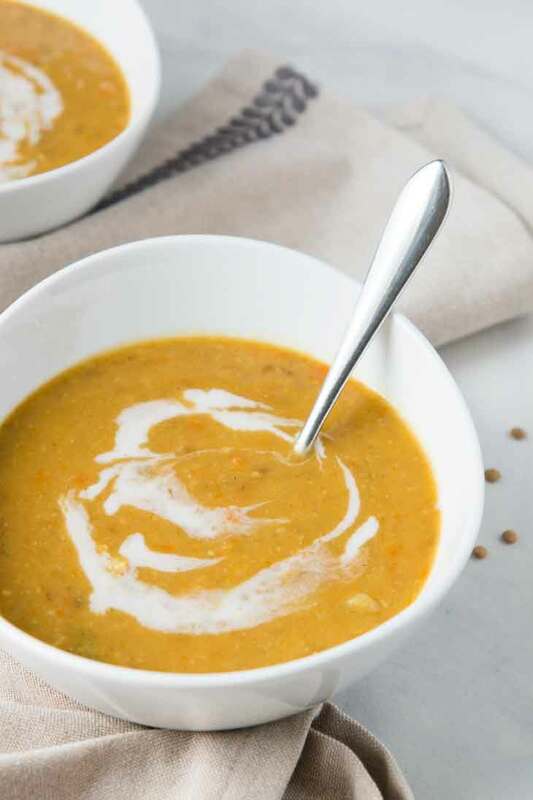 Since soups are generally served as a main dish in my house, I try to make sure that that they are not only flavorful but also well balanced so that it’s filling and leaves my family satisfied, and this new curried vegan lentil soup is no exception. Protein. For protein, I used whole green lentils because of their taste and ease of cooking. You can add more than the recipe calls for if you prefer. Seasoning. I kept it very simple. It consists mainly of curry powder, a little paprika, a tiny amount of maple syrup for that hint of sweetness, and lite coconut milk for a creamy, yet not overwhelming finish. I originally developed this recipe in my instant pot, but it can just as easily be made stove-top. Just see the recipe below for both options. 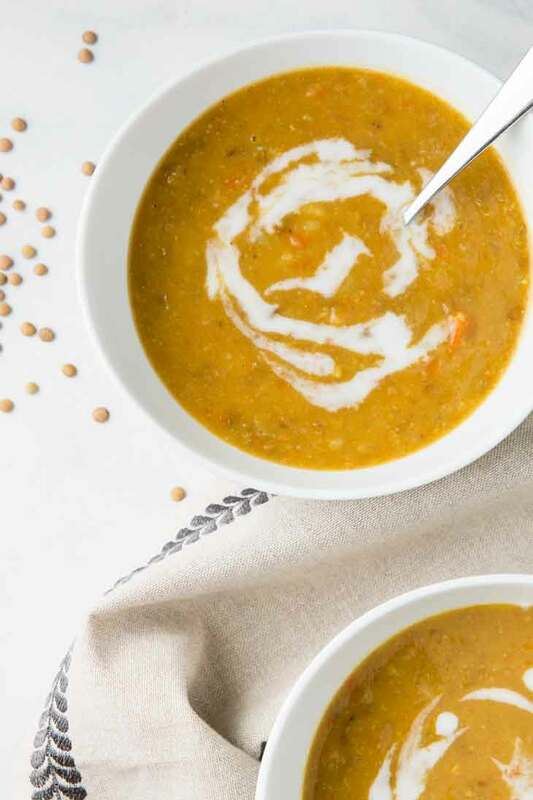 This curried vegan lentil soup is very easy to make in just 5 simple steps! Step 1. Saute the onions and garlic in the instant pot. Step 2. Add the diced carrots, potatoes, and cauliflower. Step 3. Add vegetable broth, uncooked lentils, curry powder, paprika, and some salt. Combine and set the instant pot to pressure cook on HI. Step 4. Once done, open and pulse the soup with a hand blender to desired consistency. I recommend keeping this vegan lentil soup thick and chunky instead of pureeing it completely. But make sure there are no large pieces of veggies remaining. If you prefer completely pureed, it’ll still taste just as great! Step 5. Add the lite coconut milk, lemon juice, maple syrup, and season to taste with salt and fresh black pepper. That’s it! Enjoy hot with a side of garlic bread or Naan and you have yourself a delicious one-pot meal for the entire family! 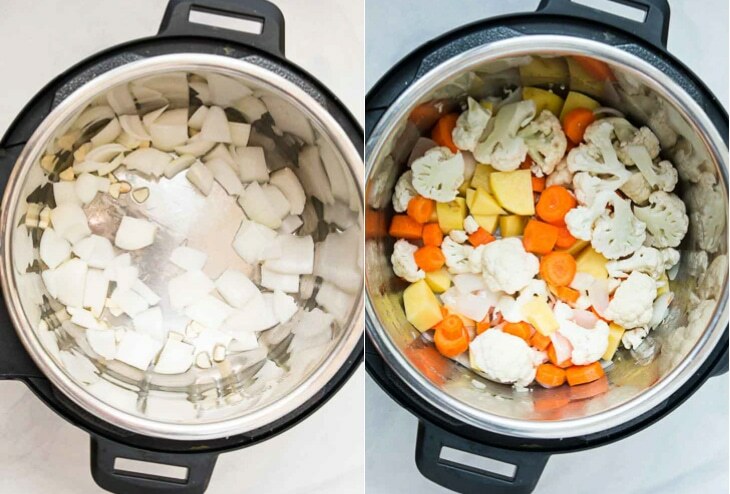 It’s the perfect set and forget instant pot soup recipe. And the veggies can be prepped ahead of time or even the night before. 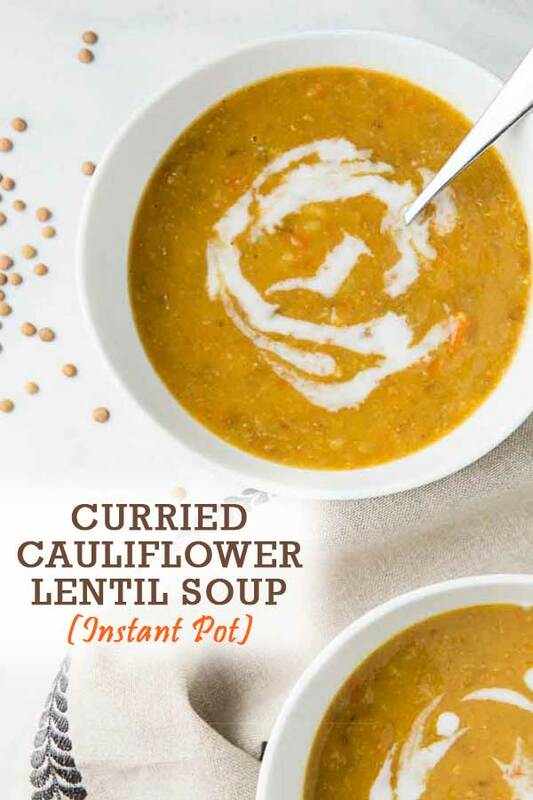 So try your hand at making this easy Vegan Curried Cauliflower Soup with Lentils over the holidays. 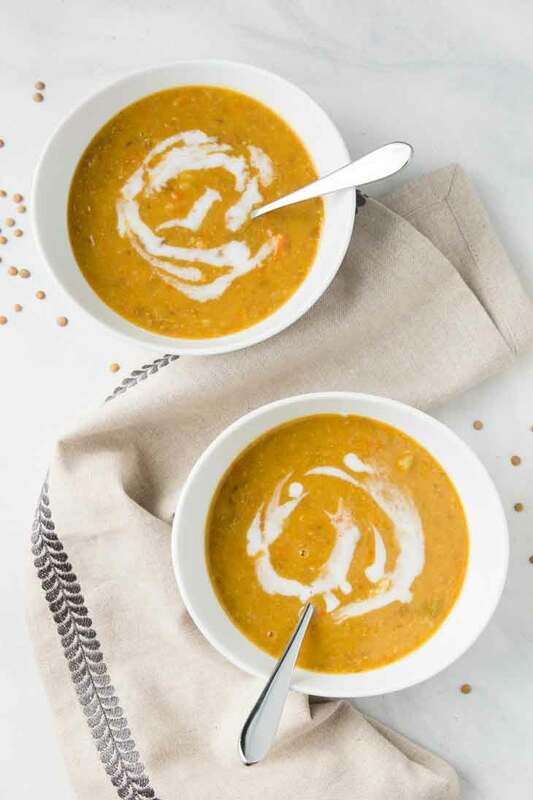 This flavorful warm and comforting bowl of soup is the easiest way to entertain, and makes for a healthy, mouthwatering family-friendly meal on any busy weeknight or weekend! This easy curried vegan lentil soup with cauliflower is hearty, flavorful, and contains rich and aromatic spices! It's the perfect family-friendly healthy meal! Add the chopped carrots, cauliflower, and potatoes and combine. Add 1 teasp salt, the vegetable broth, uncooked green lentils, paprika, and curry powder. Mix to combine. Set the Instant Pot to pressure cook on manual, HI for 6 minutes. Let the pressure release naturally. Using a hand blender, pulse the soup mixture until most of the large veggie pieces are chopped down. The end consistency should be thick and chunky, not completely pureed. Add the coconut milk, the remainder of the salt (to taste), lemon juice, and maple syrup. Cook/saute the soup for another few minutes. Taste and adjust salt and flavor (maple syrup, lemon juice). Add freshly ground black pepper and serve hot with a side of crackers, garlic bread, or toast! Stove-top Method - For best results stove-top, pre-soak the green lentils in water for 15-20 minutes and drain prior to cooking (you can still make this recipe if you forget). Follow steps 1 to 3 in a non-stick pot over medium heat. Add an extra 1 - 1.5 cup water. Partially cover and cook for 12 to 15 mins or until the veggies are tender and lentils are cooked. Continue on with step 5 till the end. Add more water/vegetable broth or reduce the the final soup by simmering on low heat until you get the desired consistency. Make-Ahead Tip - Prep all the veggies ahead of time. 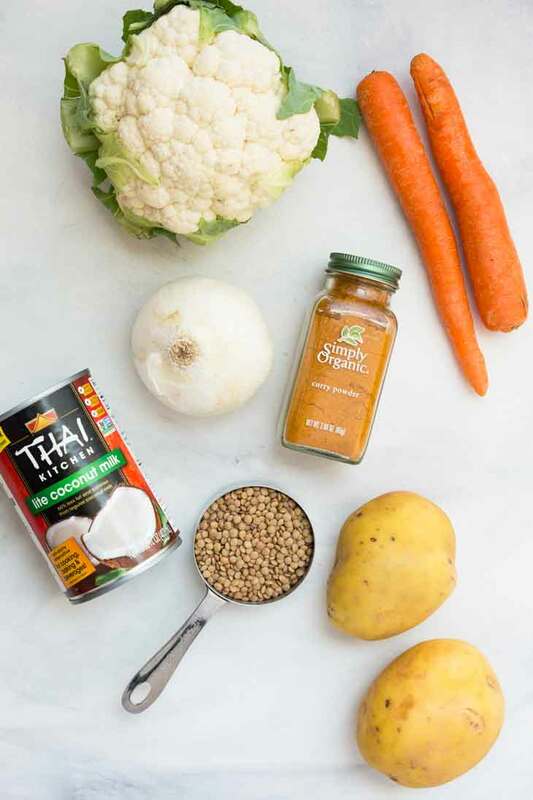 For Picky Eaters - I prefer to pulse this soup using a hand blender for a thick and chunky soup, but if you have picky eaters or toddlers that don't like pieces of veggies, feel free to completely puree the soup. I adore soups in the fall and winter months. 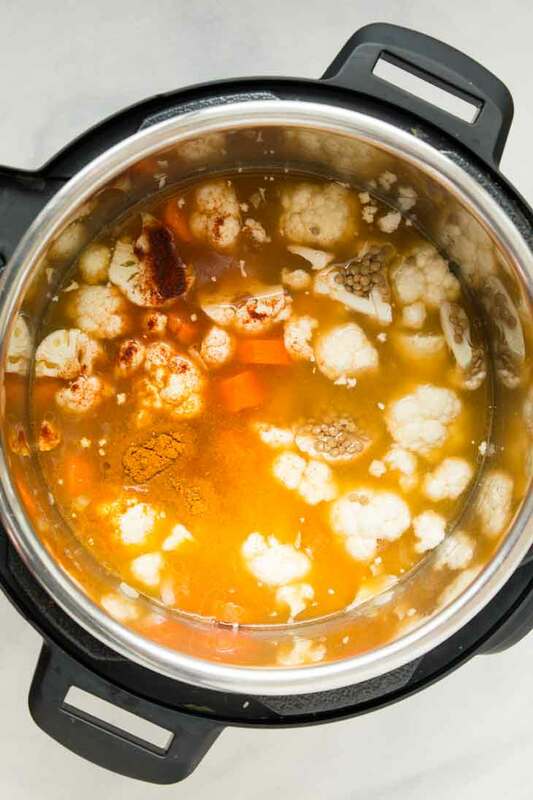 I remember once having cauliflower soup, it was creamy and delicious. I am sure this one is no exception and the curry flavor is a win in my book! Yes!! I love this combo of veggies...cooked and pulsed with some curry powder and simple spices! You'll love this recipe...definitely try it out! 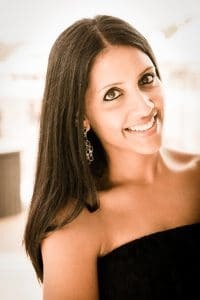 What are green lentils in Hindi? Whole Mung dal? No, small green lentils are not whole mung dal. If you use whole mung dal in this recipe, you'll get a completely different taste and texture. If you search the word 'green lentil' you'll find what they look like. They are brown-greenish and look like the shape of masoor dal. If you look at the post, there's an image of the ingredients that has the green lentils in there. they are super easy to cook. I've always found them at the store as 'green lentils' or 'small green lentils'.